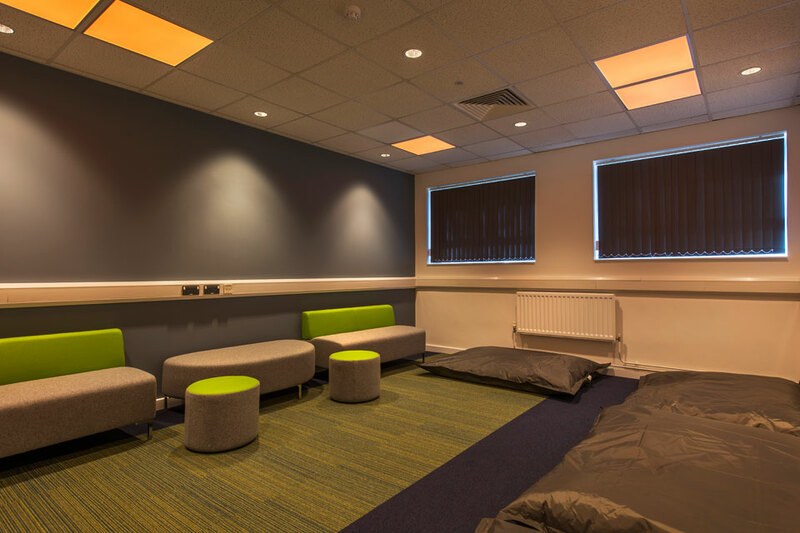 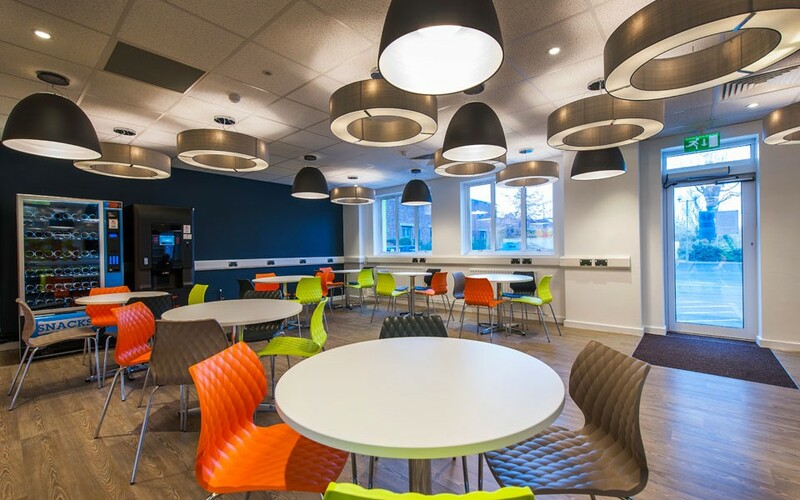 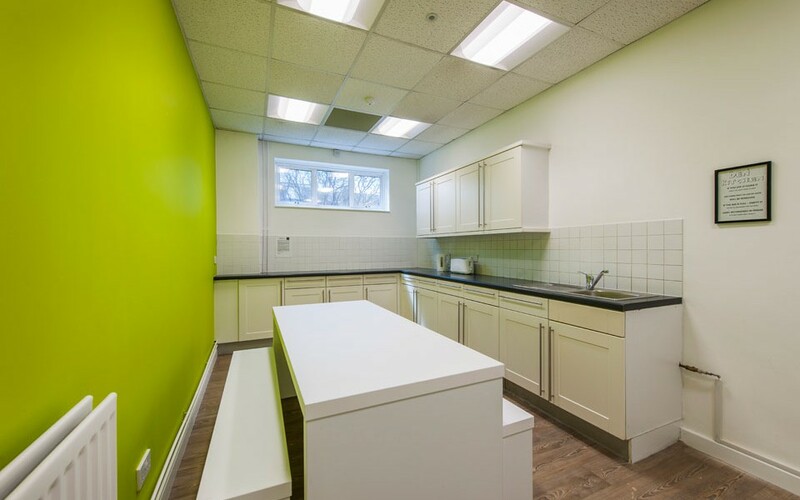 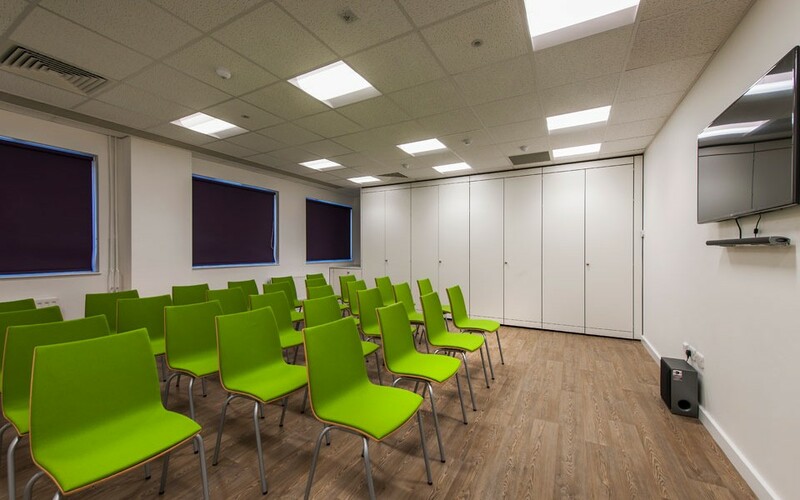 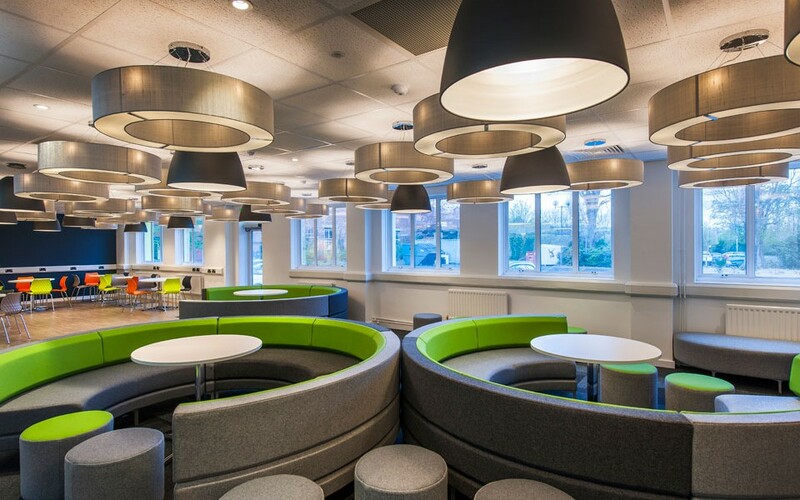 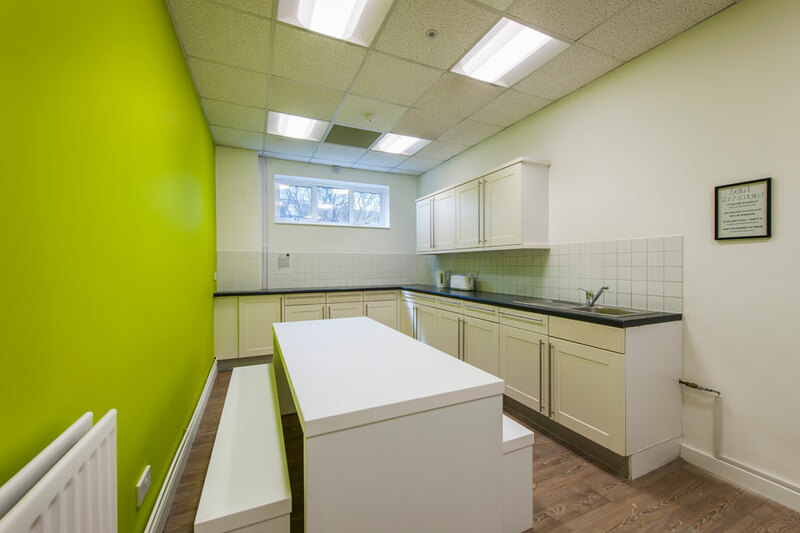 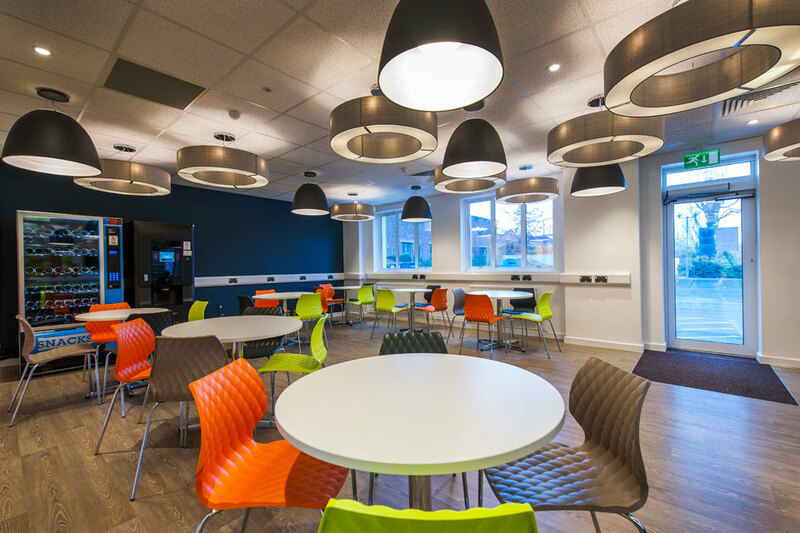 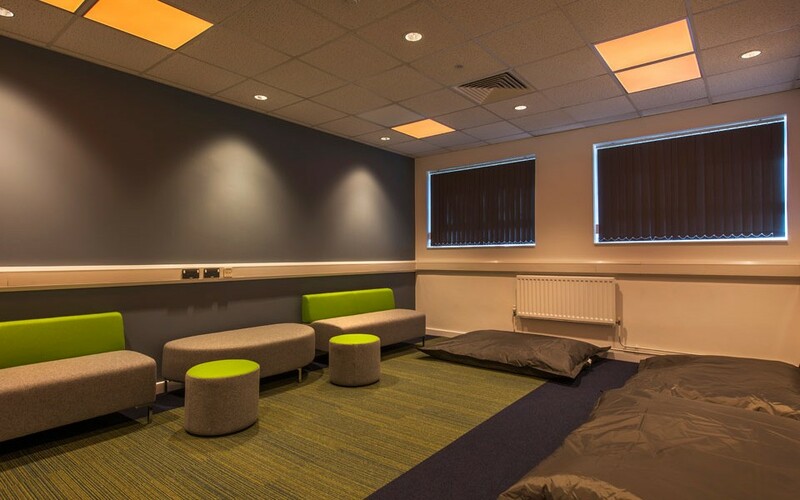 To refurbish an existing single storey office block into a new, trendy student common room facility creating a games room, cinema/exercise room, tv room, music room ,quiet room, along with an informal breakout area and IT/common areas. 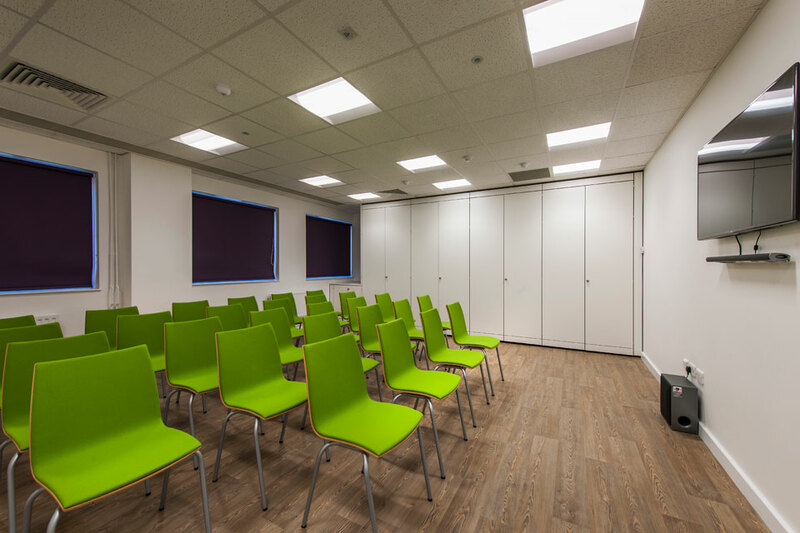 The installation of a new automatic entrance door, render applied to two external elevations and the installation of a new glass entrance canopy. 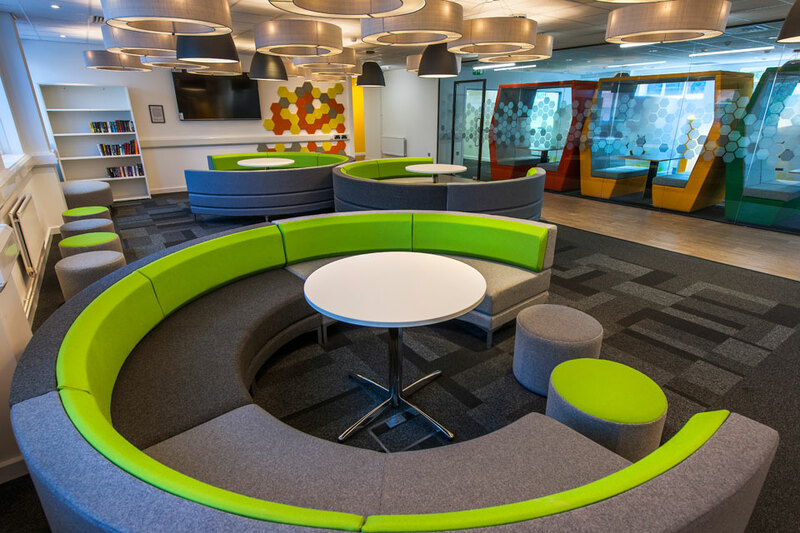 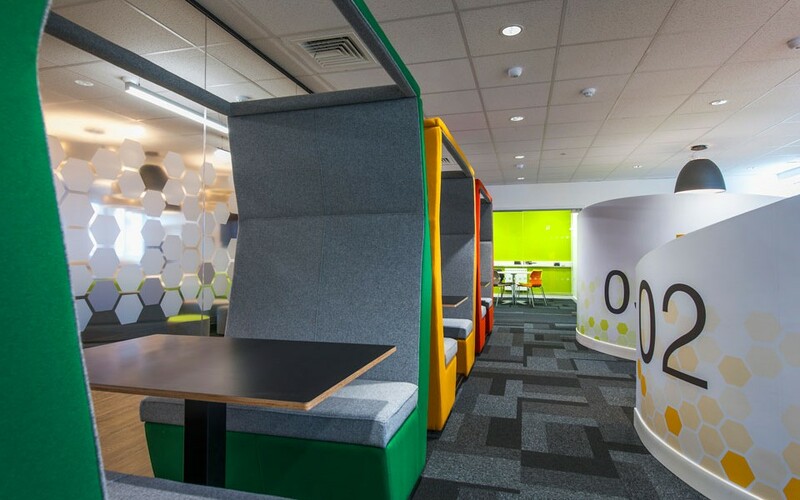 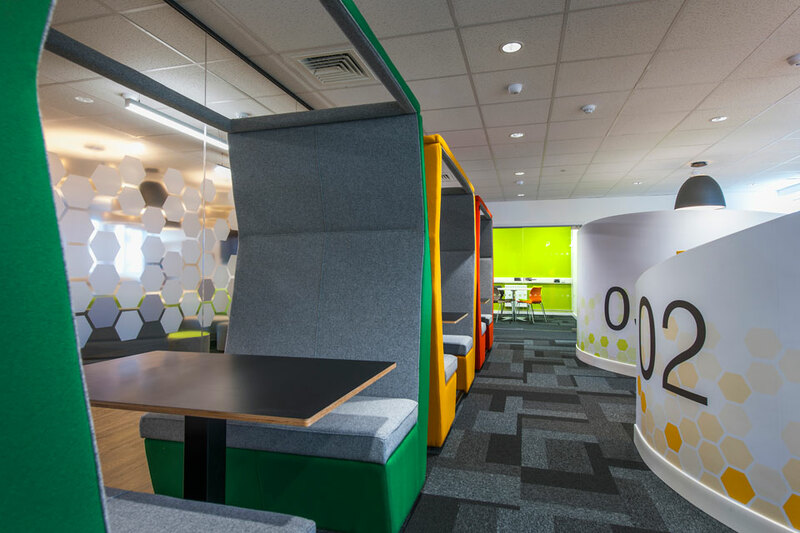 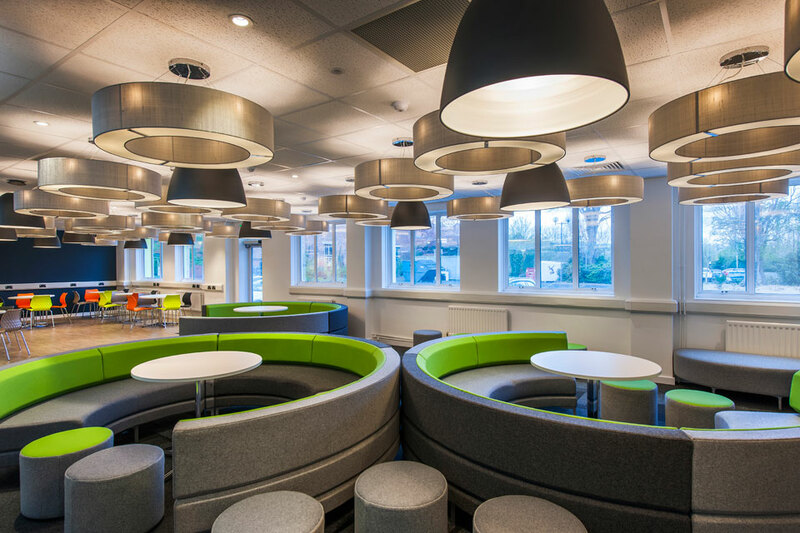 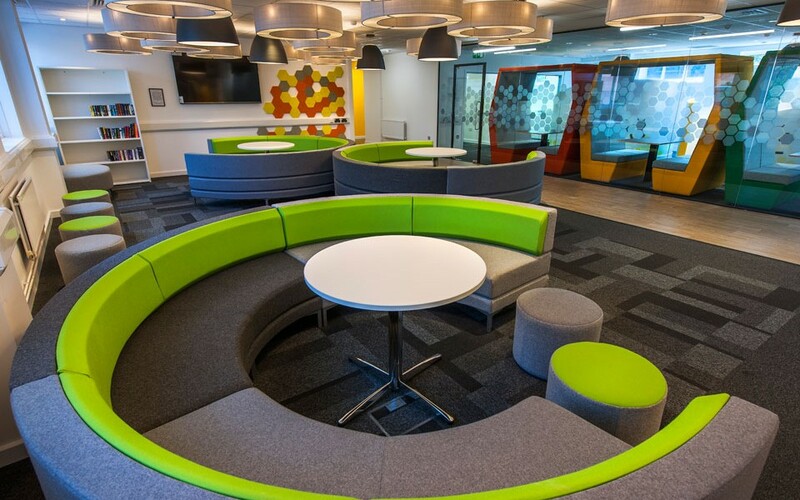 New furniture, seating pods and laptop desking were installed together with window blinds and vinyl, vending machines and a pool table.